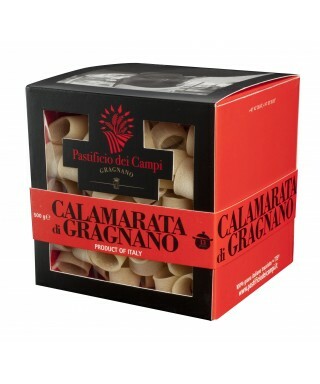 Gragnano Pasta, produced by Pastificio dei Campi, is unique for its flavour, texture and aroma. At the first bite you discover the very essence of the best of Italian durum wheat. 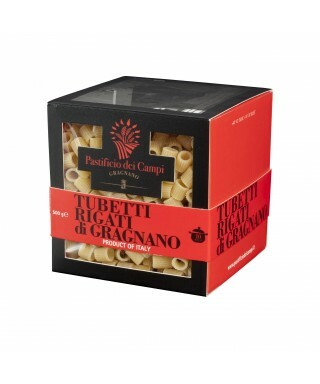 This exceptional pasta, which remains "al dente" after cooking, is the result of the best raw materials combined with a respect for the original pasta making methods; cured in every detail. 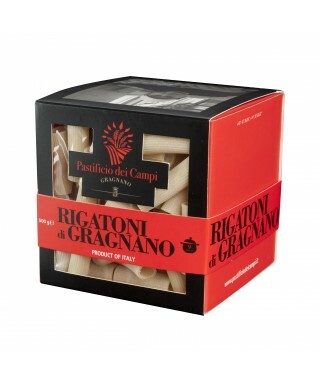 Discover Gragnano Pasta made by Pastificio dei Campi, the best Pasta ever and the first ever pasta to be completely traceable from the fields to your table. 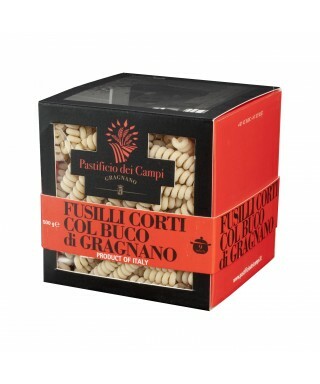 In early 2011, Pastificio dei Campi's pasta has obtained the certification of product 100% Made in Italy. With this achievement, consumers have the guaranty to consume a pasta made in Italy, with raw Italian materials (water and durum wheat) and packed in our country. 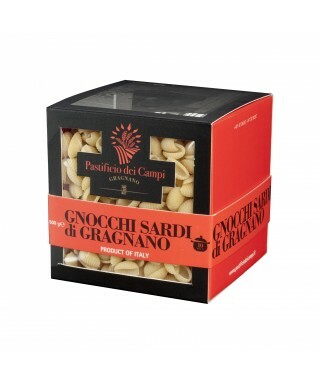 Pastificio dei Campi was established in 2007 when young partners of the historic Pastificio Di Martino (dating from 1912, Gragnano) desired change and took initiative. This new factory of Gragnano pasta is the result of their common intentions, shared ideas, and values. The base of this vision is the desire to make an exceptionally high quality pasta that expresses both its tradition and origins while simultaneously keeping in line with current times. 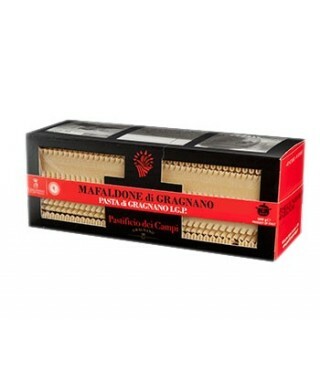 This company is located in a truly magical place for pasta production, and produces only 300 kilograms of pasta daily. 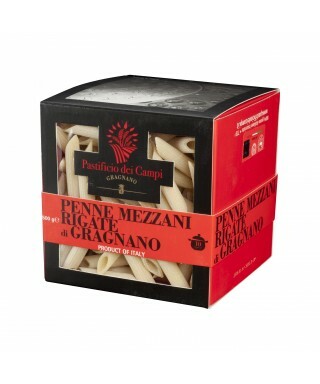 Our various pastas are ‘limited edition’ and created for gourmet customers – a symbol of Italy’s culinary art. 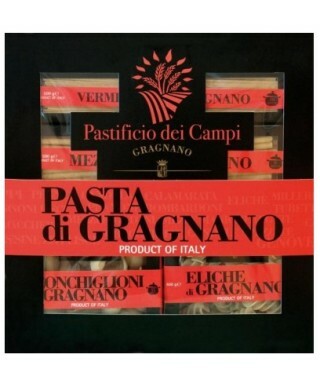 Gragnano is at the heart of the history of Italian pasta and Pastificio dei Campi is currently just a fragment of this history. We wish to be typical exponents of our land’s history, respecting its traditions while at the same time innovating them, to guarantee to you, our clients, a product with an uncompromised level of quality that respects the environment and those who created it. For this reason we have implemented a system that allows you to track every single package of Pasta dei Campi, from the sowing of the wheat used to make the semolina, to the final packaging. Our modern Gragnano pasta factory pays extreme attention to its national customers, but is also very open to international markets; for this reason we participate in events and trade fairs across the world, from Gragnano to Milan, from Cologne to New York. 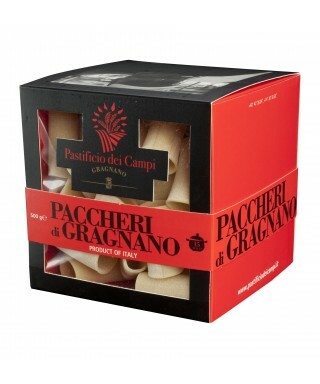 Elegant gift Pastificio dei Campi IGP Gragnano pasta, dedicated to those who love the spaghetti with tomato sauce. 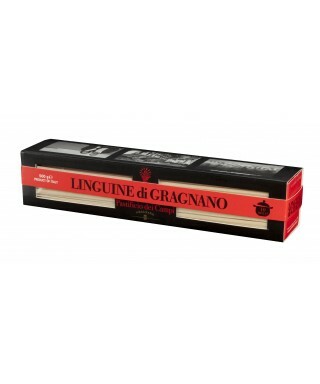 The package in fact contains several types of spaghetti to be matched to different types of tomato Campano. 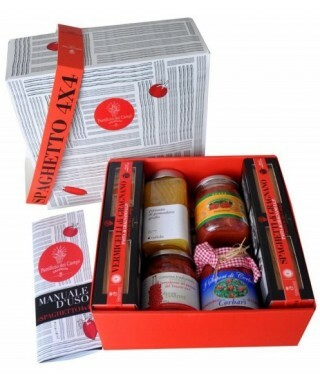 Packaging: 4 packages of pasta from 500gr (spaghetti, noodles, vermicelli, noodles maxi), 4 cans of tomato sauce typical of Campania.